The Government Accountability Office is launching an investigation to shed a light on a sector of federal agency spending long kept in the shadows: advertising. GAO’s announcement came after some powerful lawmakers have pressed agencies for more disclosure into their spending on public relations and advertising. A 2014 Congressional Research Service report found agencies spent $893 million on advertising contracts in fiscal 2013, and nearly $4.7 billion between fiscal years 2009 and 2013. GAO will examine agency-by-agency appropriations spent on in-house advertising, in addition to contracts, as well as the “primary purposes and reported benefits” from those expenditures. 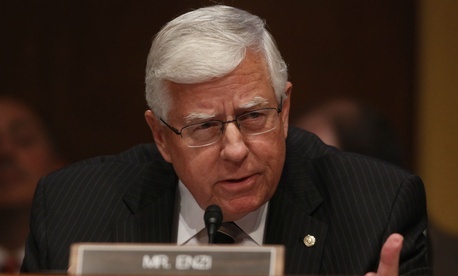 Sen. Mike Enzi, R-Wyo., chairman of the Senate Budget Committee, initiated GAO’s review, saying in a letter to the auditing agency the “total amount of federal resources dedicated to public relations activity is largely unknown.” Enzi had asked the Office of Management and Budget to report the data to his committee, but OMB said it was unable to process the request. Sen. Orrin Hatch, R-Utah, chairman of the Senate Finance Committee, has joined Enzi in calling federal agency spending on advertising a “black box,” noting in particular the Health and Human Service Department’s promotion of Affordable Care Act enrollment. The 2014 CRS report found it difficult to determine details on federal agencies’ advertising spending. There is no governmentwide reporting standard, CRS said, nor is there a common definition of what constitutes advertising. Additionally, agencies have “great discretion” to budget their in-house PR. Agencies are prohibited from spending money on “publicity or propaganda” not specifically authorized by Congress, but CRS found the lack of a firm definition of advertising has led to “few governmentwide restrictions” on the practice. “It is unclear how vigorously the limits on government advertising are being enforced,” CRS said.